Blessed Homemaking: Moore Family Films Review and Giveaway! Moore Family Films Review and Giveaway! I have recently had the pleasure of being introduced to the Moore family, who produce some wonderful family films. I just viewed three of their excellent, encouraging videos and am also blessed to be able to give some away to a very special reader! This video documents how the Moores came to believe and understand what the Bible says about having children, instead of following our culture's rejection of children. A brief history of the birth control pill is explored, along with eye-opening quotes by leading birth control proponent Margaret Sanger and others. We are also taken through the adventure of the Moores having their tenth child and the joy that surrounds another blessing. This encouraging DVD was a semi-finalist in the 2010 San Antonio Independent Christian Film Festival. Besides the documentary, there are 60 minutes of bonus footage, including a discussion with Shane and Edee Moore answering questions that is very helpful. This inspiring DVD gives us a glimpse into life with the Moss family. My children also got to watch this and absolutely loved it. We see how brothers and sisters can be best friends and enjoy each others' company. 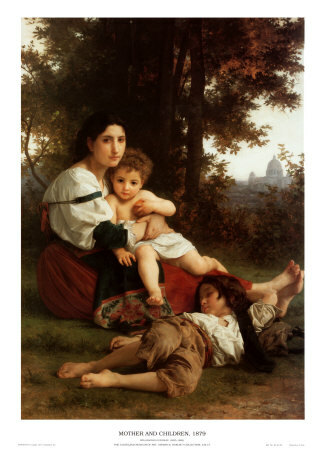 We also see how one child faced what some would call a tragedy, with faith and trust in the Lord. Other topics explored are why Mrs. Moss stays home to take care of the family, why they choose to homeschool, how Mr. Moss leads his family in Bible study and prayer, and more. 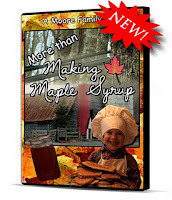 Have you ever thought of making your own maple syrup? This instructional video will show you exactly how! The newest DVD from Moore Family Films shows all the steps and important information you need to tap maple trees yourself and make maple syrup. But besides this, it is an uplifting film displaying how a Christian family can learn together and work together, truly enjoying each others' company along the way. All three of these films were truly inspiring for me, and I will enjoy sharing them as a family to be watched again and again. If you are looking for helpful, family-friendly films, these are definitely some to add to your library. I am pleased that I am able to give away a set of all three of these DVDs to a very special Blessed Homemaking reader! This particular giveaway is open to US residents only. Of course, if you don't want to wait for the giveaway to end, you can purchase all of their DVDs at their website. 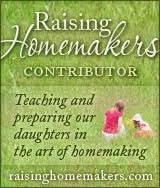 Subscribe to Blessed Homemaking via email. 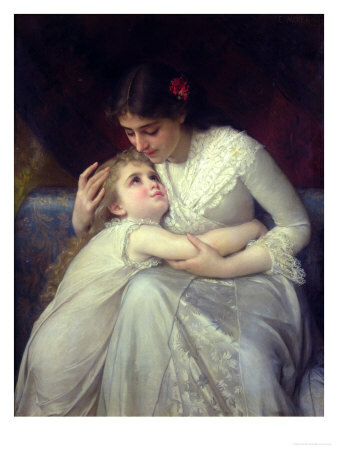 Like Blessed Homemaking on Facebook. 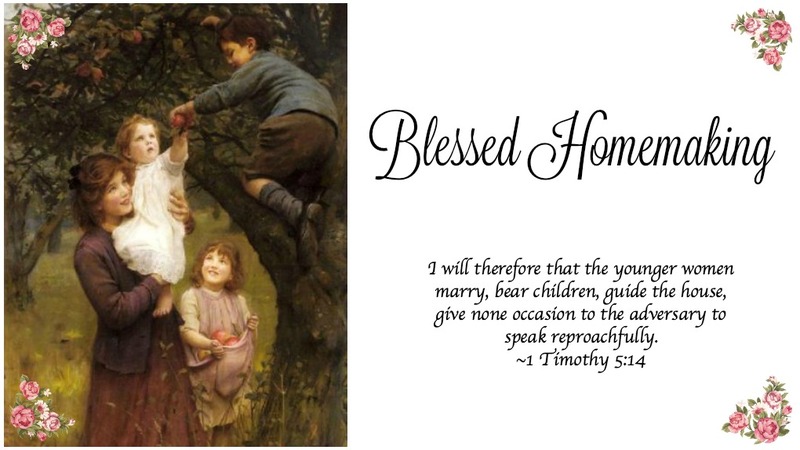 Follow Blessed Homemaking on Twitter. Become a follower on Networked Blogs (scroll down). Blog about this giveaway (3 extra entries) and leave the link to your post. Tweet about this giveaway (2 extra entries) and leave a link to your tweet. Don't forget to leave a separate comment for each thing you do, and if you do not have a blog, please leave me your email address to contact you if you win! This giveaway will end February 2, 2012. Thank you for being readers! What beautiful DVD's. They all look like they would be a blessing! 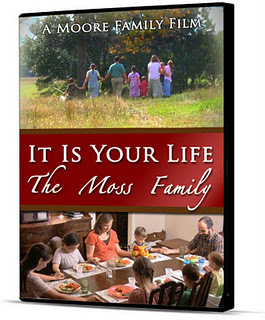 The one that we would enjoy the most is "It is Your Life~The Moss Family"
I'm an email subscriber of your blog. 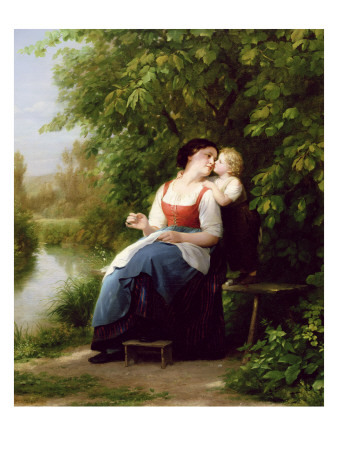 I "like" Blessed Homemaking on Facebook. I'm a follower on Networked Blogs. O.K. I clicked like on your FB Blessed Homemaking page, I subscibed to the Moorefamilyfilms.com, and I subscribed to your blog as well. 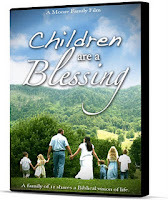 :0) I would love to get the "Children are blessings" film. 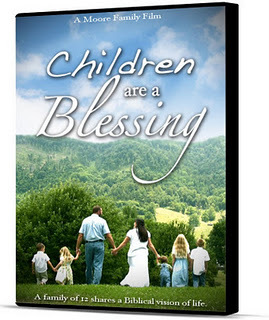 I would love to have Children are a Blessings film. I am an email subscriber of your blog. I subscribed to get emails from the Moore Family Film. I would love them all but I am most interested in the Moss family dvd. I subscribed to get email updates from the Moore family website. The dvd I would most like to own is Children are a Blessing. I like Blessed Homemaking on Facebook. 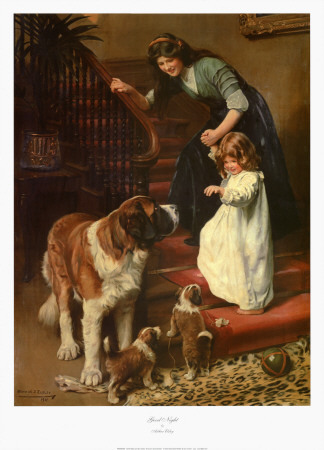 I follow Blessed Homemaking on Twitter. 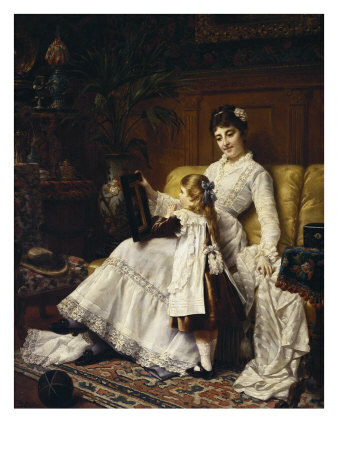 I subscribe to Blessed Homemaking via email. What a great giveaway. Like everyone else, I'd love to see all the films, but Children are a Blessing would be my first choice. I just found your website (through the Moore's site) and am truly grateful to have found you! What a wonderful blessing you provide! I have seen two of the the three Moore family films andthey are wonderful and inspiring. I would love to see the "More than Making Maple Syrup" so that would be my choice. I encourage allyou ladies to see the Moore films , you will b blessed. Thanks for hosting this giveaway! 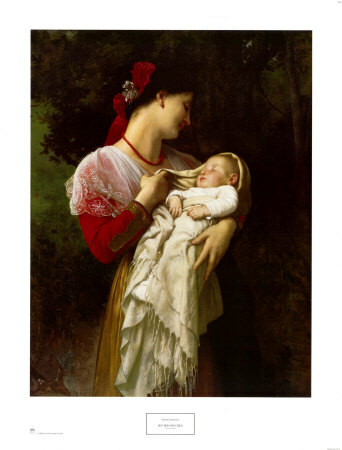 I "liked" Blessed Homemaking on FB! I became a Google follower! I became an e-mail subscriber!